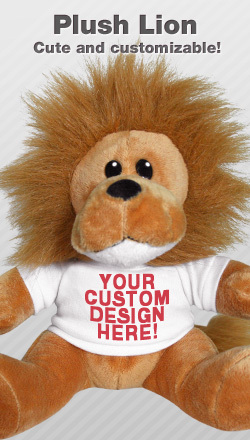 Customize your own cute and cuddly Plush Lion today with your own special message. Perfect for sons and daughters, soldiers or even for yourself! If your school's mascot is a lion, then our little Leo would make the perfect cheer leading or sports gift. Customize one for your special someone today!